Home » Legal Library » What is a Multidistrict Litigation? 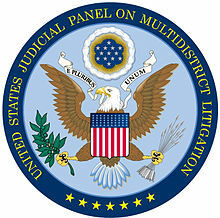 A multidistrict litigation, or MDL, is a centralized proceeding in which a large number of federal civil lawsuits are transferred to a single judge in one jurisdiction. A multidistrict litigation is intended to streamline discovery and ensure greater consistency in pretrial rulings. When is a Multidistrict Litigation Appropriate? How Does a Multidistrict Litigation Work? All of the lawsuits involve one or more common questions of fact. The transfer will serve the convenience of all of the parties involved. The transfer will promote judicial efficiency, economy, and fairness. If a multidistrict litigation is created, all federally-filed lawsuits involving that particular issue will be transferred to a single U.S. District Court Judge. That Judge presides over pretrial motions, discovery proceedings, and settlement conferences. He or she will have the authority to dismiss some claims, and even entire cases. In most instances, the Court will schedule a series of bellwether trials involving a small number of representative lawsuits. The outcomes of these trials often provide valuable insight into possible jury ruling on similar claims. Any lawsuits that cannot be resolved via the multidistrict litigation process will eventually be returned to their original court of filing for trial. Bernstein Liebhard LLP represents plaintiffs in multidistrict litigations involving defective drugs, faulty medical devices and dangerous consumer products. If you would like to learn more about these types of centralized proceedings, please contact our Firm by calling (888) 994-5118.